If you are finding that your search for a Watertown Chevy dealership is stressful, then make your way over to Ewald’s car dealerships near Watertown WI. At Ewald Chevrolet Buick, we make it easy to find the right Chevy trucks for sale near you. Located in nearby Oconomowoc WI, Ewald’s car dealerships near Watertown WI have the new and used Chevy trucks for sale near you. You will be proud to call one of our new or used Chevy trucks for sale your very own. Whether it’s new Chevy trucks for sale or used Chevy trucks for sale, we have what you want. When it comes to used Chevy trucks for sale, you can find a used Chevy Colorado to a used Chevrolet Silverado. So, come out to your Watertown Chevy dealer at Ewald Chevrolet Buick to check out our used Chevy trucks for sale near you. Claim one as your own today at your nearby Watertown Chevy dealer at Ewald Chevrolet Buick. Not only does our car dealerships near Watertown WI have a great selection of used Chevy trucks in Wisconsin. We have some of the best prices on our used Chevy trucks for sale near you as well. It doesn’t get much easier than that when it comes time to look for great deals on Chevy trucks for sale. If it is used Chevy trucks for sale near you that you are after, we have just the one for you. 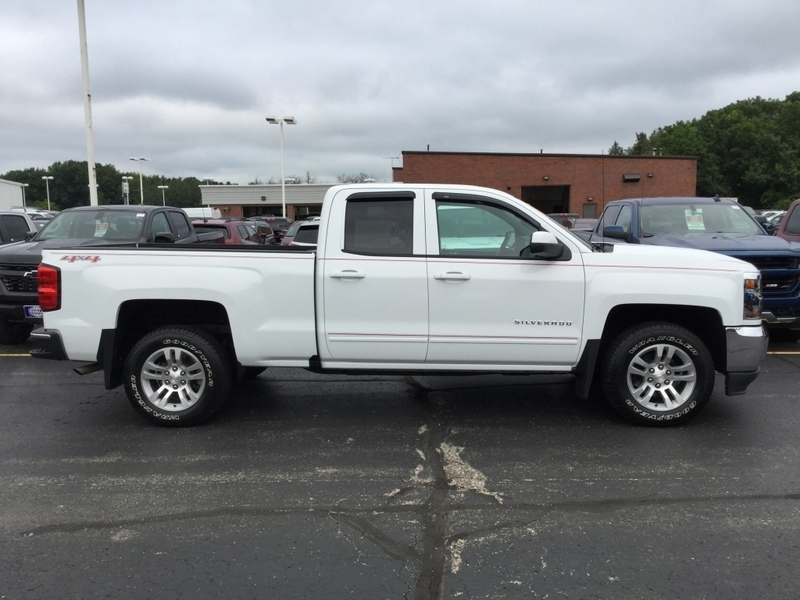 Like the used 2016 Chevrolet Silverado 1500 LT for sale. This used truck for sale has plenty of interior space as well as towing capacity. This particular Chevy Silverado comes equipped with a powerful V8 engine. And the towing capacity and gross vehicle weight on this Chevy Silverado truck for sale are impressive as well. Other features like six-passenger seating, the rear bumper with corner step, and EZ-lift and lower tailgate, makes this used Chevy truck a pleasure to own. The rear backup camera is another great amenity. If this Chevy truck isn’t the one for you, we have a large selection to choose from at Ewald Chevrolet Buick. We are happy to sit with you and figure you what your everyday needs and desires are when it comes to your next truck. We can help you search through our inventory to find a used Chevy truck for sale that is perfect for your day to day needs. We encourage our Ewald online shoppers to take full advantage of our many convenient online shopping tools. Browse through our vast selection of Chevy trucks for sale based on the criteria that are most important to you. Give our knowledgeable sales team a call when you're ready to take a used Chevy truck out on a test drive! When it comes to Chevy trucks for sale near you, make the trip to Ewald Chevrolet Buick. We look forward to working with you and want to find the right Chevrolet truck for you. Ewald Chevrolet Buick is proud to provide you with the best buying experience possible in Wisconsin. When it comes to buying your next Chevy truck for sale, Ewald’s Chevrolet dealership near your car dealerships near Watertown WI is here for you. You can give us a call at (262) 226-2842 to schedule your test drive. Or, check us out in person at Ewald Chevrolet Buick located at 36833 E Wisconsin Ave Oconomowoc WI, 53066.